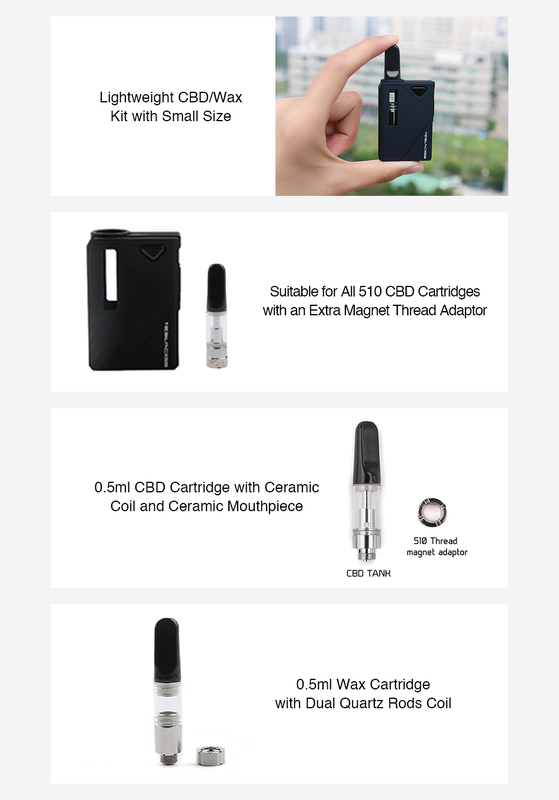 The Tesla Mini DUO CBD/Wax Kit is coming! 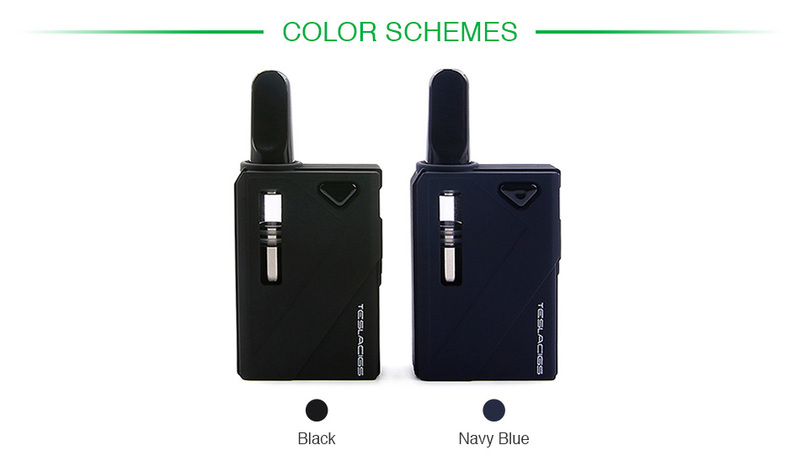 It is an ultimate lightweight Kit for CBD oil and Wax vaping, consisting of the Tesla Mini DUO Box MOD and 2 in 1 vaporizer for CBD oils and Wax. 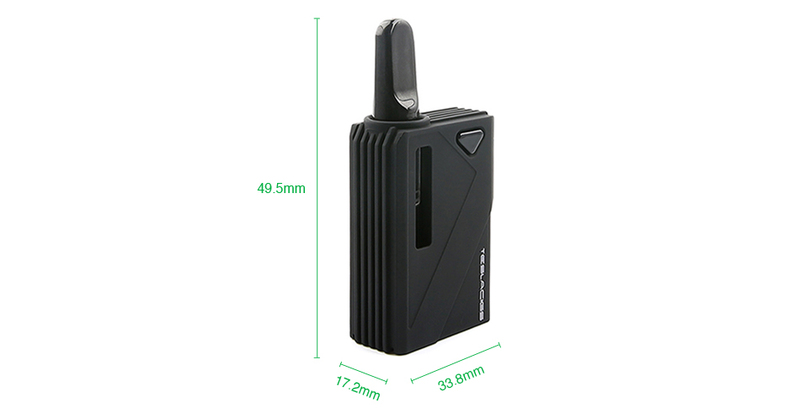 Powered by built-in 500mAh battery, the Tesla Mini DUO MOD has preheat function and adopts three level voltage adjustment. The Tesla Mini DUO MOD also comes with the unique magnetic connection, which is easy to connect the atomizer with a magnet adaptor. And the Tesla Mini DUO Kit also includes the CBD cartridge with ceramic coil and ceramic mouthpiece for great vaping flavor. The other cartridge comes with dual quartz rods coil, which is perfect for Wax vaping. Just get the Tesla Mini DUO CBD/Wax Kit as your daily vaping pal now!